Over the course of this weekend, cricket had it's share of variance in Mumbai. The two most renowned stadiums - Wankhede and Brabourne, had their share of variance as well. Both are situated in South Mumbai and are only at a distance of less than a km from each other. But the cricket on offer was divergent in nature. Brabourne was hosting Australia for their three-day warm-up game versus India A ahead of the four-match test series. On the contrary, Wankhede witnessed the nation's top domestic T20 stars during the Syed Mushtaq Ali Trophy. Australia was put into bat after by India A captain, Hardik Pandya. The visitors finished Day 1 on 327-5. Mitchell Marsh and Matthew Wade were unbeaten on 16* and 7* respectively. Steven Smith and Shaun Marsh had been retired out after scoring individual hundreds. The elder Marsh perhaps showing why he is a must in the Australian line-up in the sub-continent conditions. Going by the recent record, he might be picked towards the front of Usman Khawaja for the first test. His younger sibling along with Wade started positively on Day 2. The duo scored individual half-centuries. Wade, at a particular handsome strike rate. But it wasn't long when his strength turned into his weakness. Akhil Herwadkar's off-spin delivery carried his top edge during his unsuccessful attempt of a paddle sweep. Seven overs later, Mitchell Marsh was caught at mid-off of Shahbaz Nadeem's bowling by the substitute fielder, Baba Indrajith. Glenn Maxwell remained not out on 16 (without scoring any boundary) when Smith declared the innings on 469-7. India started it's innings cautiously. Herwadkar and Priyank Panchal laid emphasis on spending time than scoring quick runs. Nathan Lyon got the better off Herwadkar when he was caught and bowled on 4 in the 12th over. What happened on the next delivery set the tone for the innings. Facing his first ball, Shreyas Iyer smacked Lyon for a six over long on. And suddenly Panchal started to play more freely as well. He struck five boundaries in his innings of 36 before being caught at short leg by Peter Handscomb. 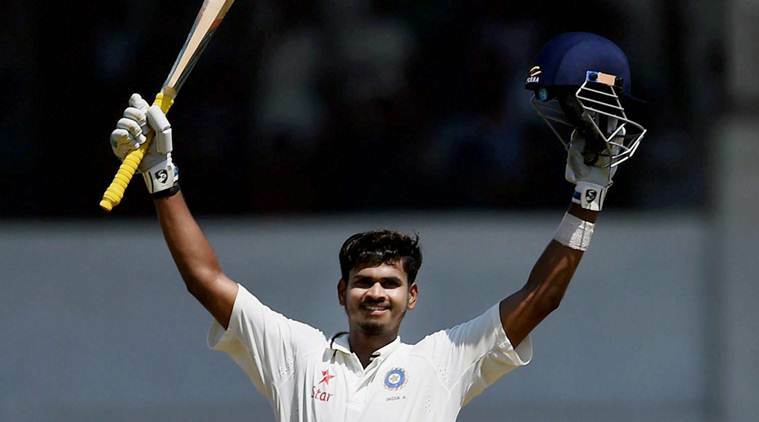 Shreyas Iyer scored his maiden double century in first-class cricket. Ankeet Bawne too got a start but failed to convert it as he was found wanting in front of the stumps off a Jackson Bird delivery. Pandya replaced him but did not look at ease against Bird who constantly teased him outside the off stump. Bird eventually found the outisde edge of Pandya's bat in 48th over. Rishabh Pant came into bat with only three overs remaining in the day. He (4*) and Iyer (85*) finished the second day on 176-4. Fall of wickets at regular intervals did not impede Iyer who was particularly harsh on the spinners. He sprinted to 85 off 93 balls which included five sixes (three against Lyon and two against Steve O'Keefe). In Wankhede, the game went at a different pace. In the first match, East Zone continued their unbeaten spree of chasing and winning. West Zone was put into bat by Manoj Tiwary and managed 149-5 in 20 overs. Sheldon Jackson scored 44-ball 52. An unbeaten 36 from Rujul Bhatt enabled West to reach a fighting total. Pritam Das registered figures of 4-0-25-2. Suryakant Pradhan, Sayan Ghosh and Pragyan Ojha picked a wicket apiece. Arun Karthik, who opened the innings for East replacing Sreevats Goswami, gave his team the most apt start. His 14-ball 24 along with Virat Singh fireworks made sure East crossed the 50-run mark in the fifth over. Ishank Jaggi, who came in at No. 3, looked in a hurry as well. 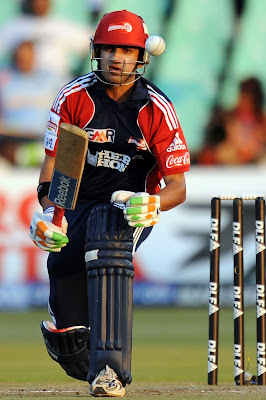 He tonked three fours and six sixes in his innings of 56 (30 balls). Singh remained unbeaten on 58 when Manoj Tiwary scored the winning shot. The fact that East Zone had won the tournament despite one match to be played depicted their dominance throughout the tourney. Jaggi was a prolific run-scorer in this season of Syed Mushtaq Ali Trophy. In the second match, Central Zone beat South Zone by 2 wickets on the ultimate delivery of the match. 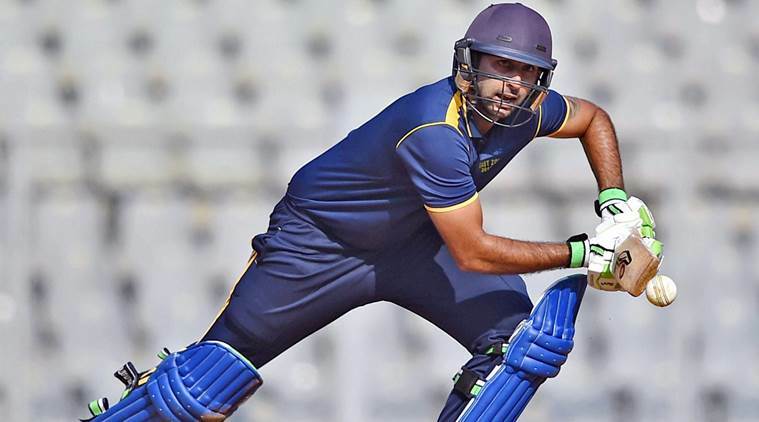 After being put into bat first, South managed 181-7 in 20 overs due to major contributions from Vijay Shankar (40), Dinesh Karthik (35) and Pavan Deshpande (33*). Ankit Rajpoot, Aniket Choudhary and Karn Sharma picked a couple of wickets each for Central. In the reply, Central predominantly rode on Harpreet Singh's 51-ball 92 which comprised of 10 fours and four sixes. Amit Mishra scored the winning runs for them. Coming back to Brabourne on the morning of Day 3, Iyer completed his century with ease but Pant had to walk back to the pavilion after he handed a return catch to O'Keefe. Ishan Kishan also failed to capitalise on the momemt as he was caught behind off Mitchell Marsh's bowling. Krishnappa Gowtham came in at No. 8 with some attacking instincts in his mind. He played with peril but was fearless. Severe on Lyon, he struck 10 fours and four sixes in 68-ball 74. He was once dropped by Maxwell at deep mid-wicket and once caught off a no-ball but it did not hinder his approach. Iyer looked in a different zone altogether. Well, you have to be in a different zone to score 202* in 210 balls at a strike rate of 96.19. His masterly knock was composed of 27 fours and seven sixes. India A finally got all out on 403 in 91.5 overs. David Warner and Matt Renshaw came out to open for the second time in the match. Renshaw's furniture got disturbed whilst he was on 7 by Pandya. Maxwell, who was promoted up the order, made no use of his shot as Navdeep Saini uprooted his middle stump in the eight over. O'Keefe then joined Warner in the middle. Ashok Dinda got rid off Warner when he was caught at gully. Dinda later bowled a ferocious spell to O'Keefe and Handscomb (in particular). After beating Handcomb's outside edge a couple of times, he bowled a soaring bouncer which was followed by an exchange of words between the two. He gradually found his outside edge in the same over but the chance was spilled down by the first slip fielder. Handscomb was later dismissed by Pant when he hit the ball straight to Gowtham at mid-wicket. Wade came out to bat at No. 6 and it was not much long when the players finally shook hands at 4 PM which brought an end to the exciting weekend full of sundry cricket in Mumbai.